① Please enter the site ID and password and login. 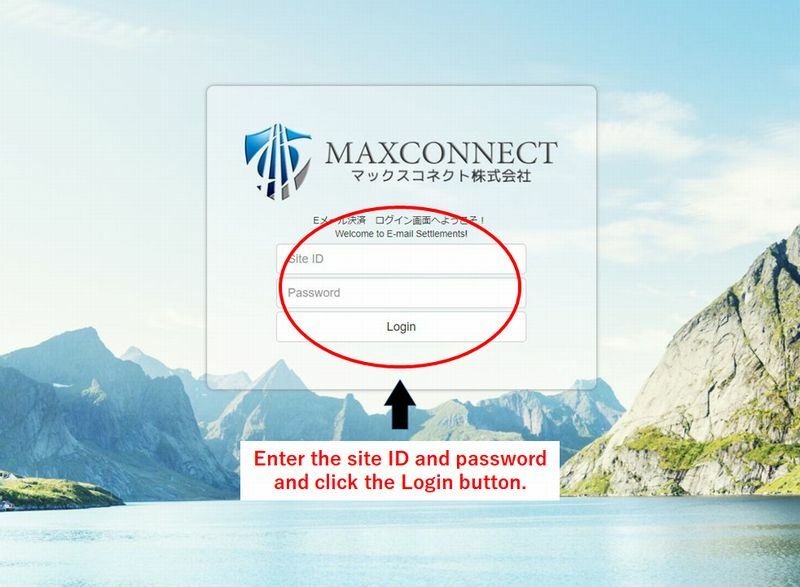 ② After login, "Create Link screen" is displayed. Enter all the necessary matters, once you clicked CREATE button, the URL will be appreared at the bottom of the page. ③ Copy all the URL generated in "②", and paste it on the email window. ④ Click the URL on the email, or copy & paste the URL on the address bar of the browser then it will links to the billing page. ⑤ Please download the sample format and enter the value. 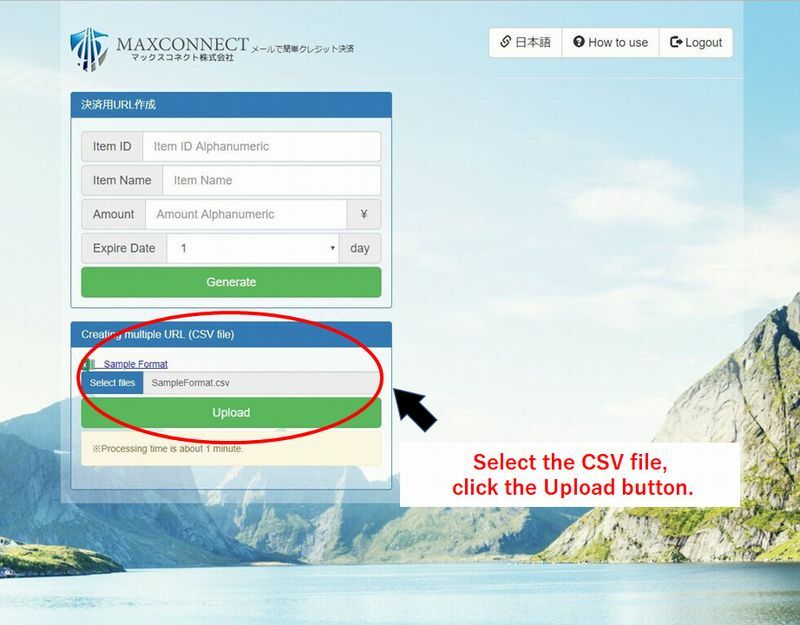 Please select the CSV file and click the Upload button. ⑥ Please edit the contents of transmission. The transmission content is limited to 70 characters. The URL for PC · smartphone generated by "②" is displayed in the transmission content column. Edited transmission contents can be saved. 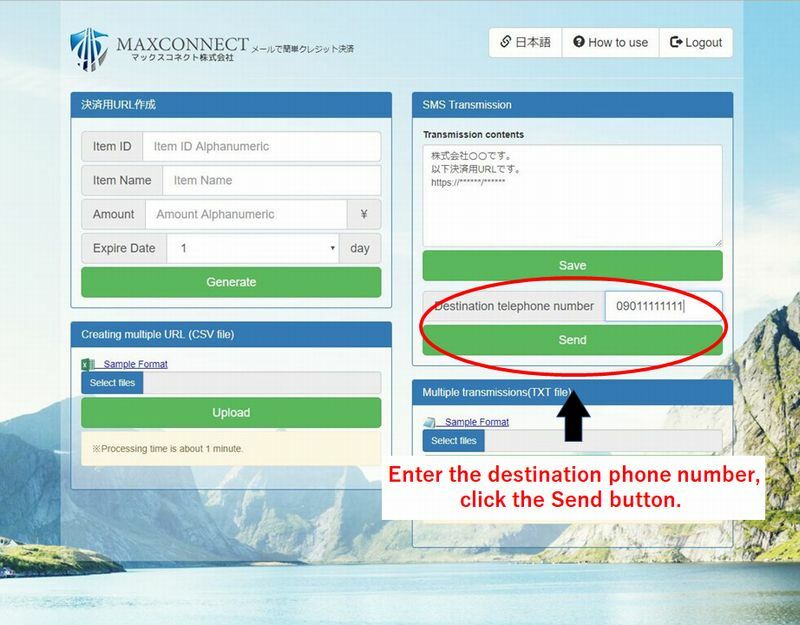 ⑦ Please enter the destination phone number and click the send button. 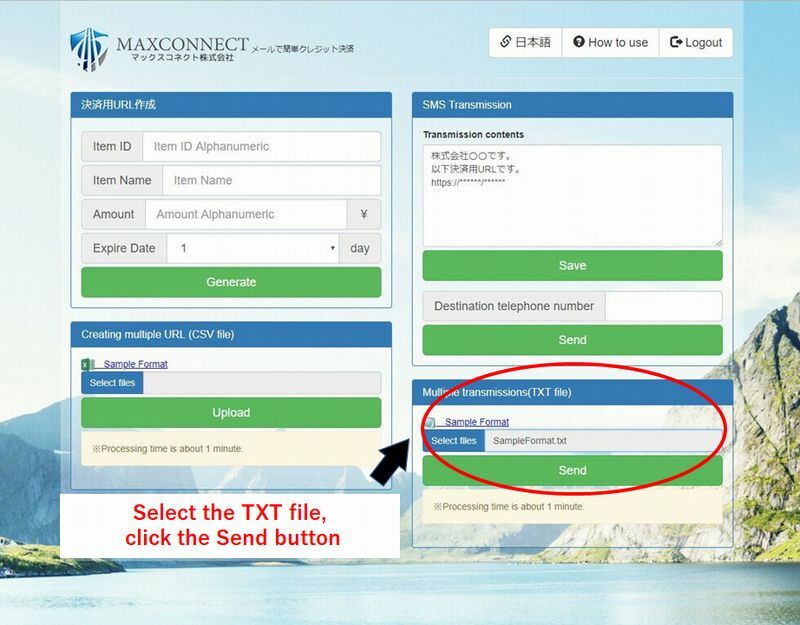 ⑧ Download the sample format and enter the destination phone number. 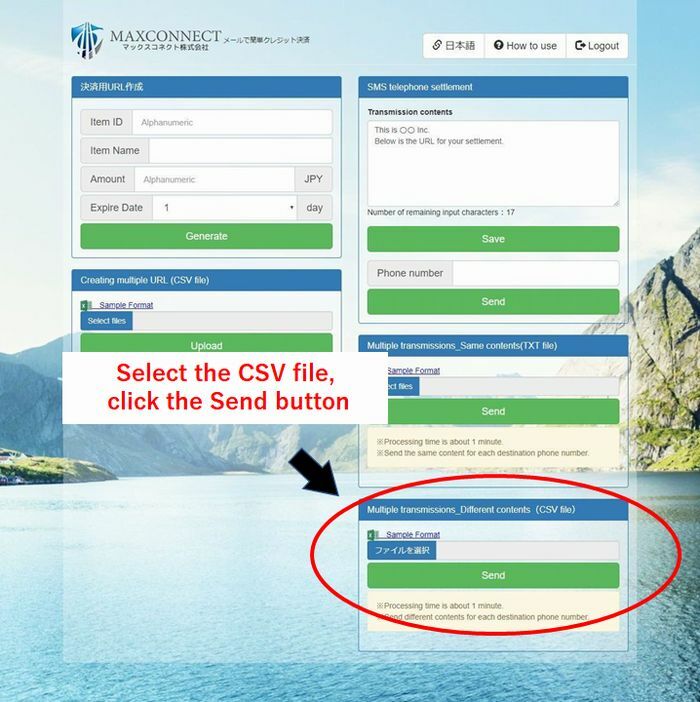 Please select CSV file and click Send button. 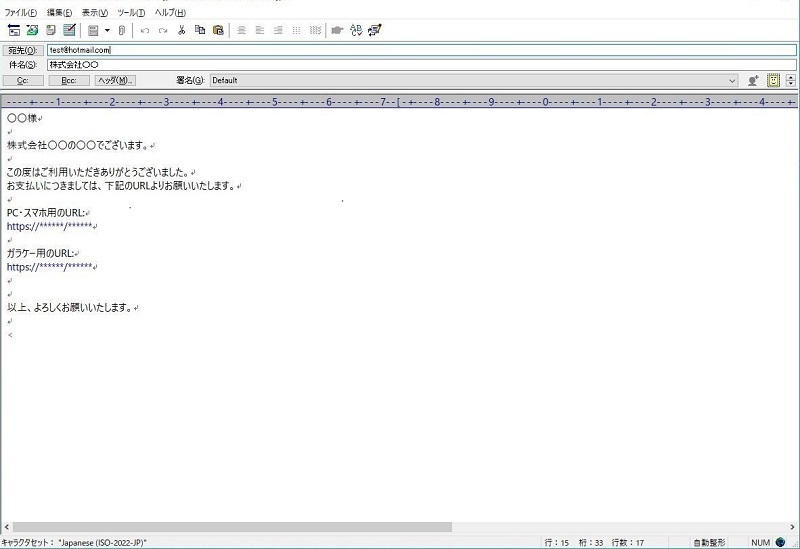 ※Sentences in the "Sent contents" column at the top of the screen will be sent. 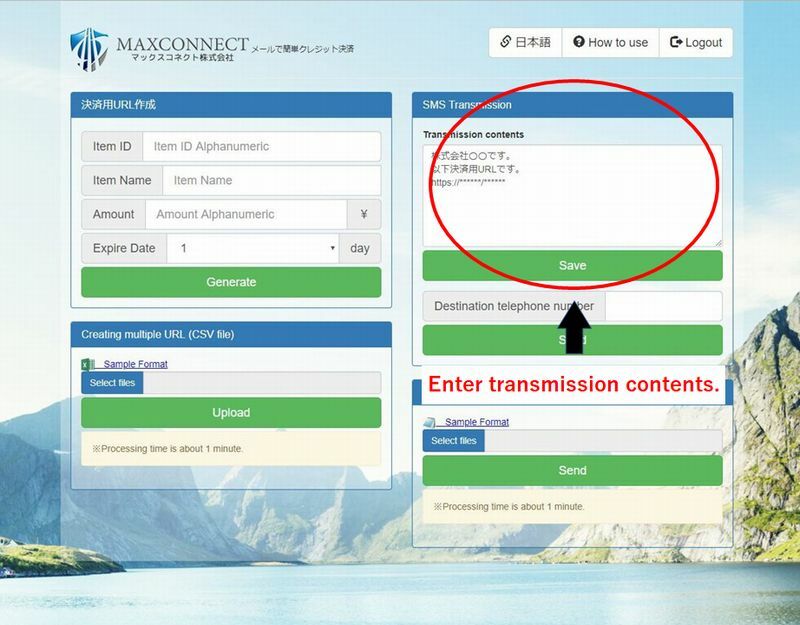 ●When sending "different transmission contents" to multiple destinations at the same time. 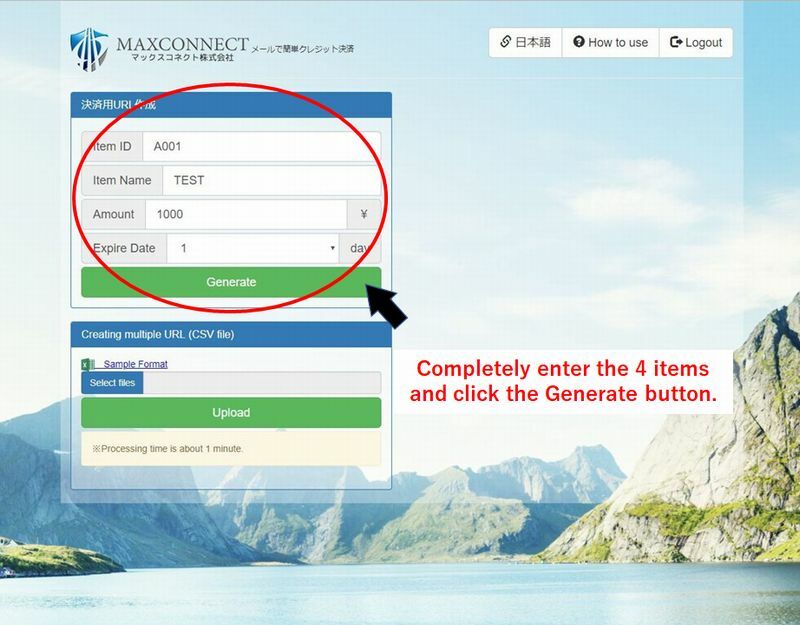 ⑨ Download the sample format and enter "Product ID, Product Name, Price, Expiration Date, Sent Details, Destination Telephone Number". Please select the input CSV file and click the send button. ※ntences in the "Sent contents" column of the sample format will be sent. ※Please do not perform line breaks in each item. An error will occur in the transmission content.